5.5 mil crepe paper tape with rubber adhesive. 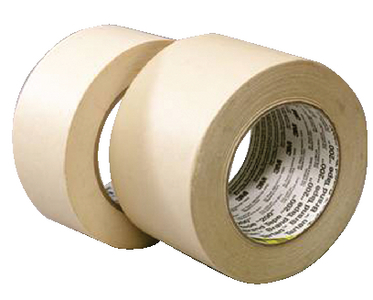 A utility purpose paper tape for holding, bundling, sealing, non-critical masking and a vast number of other jobs where pressure sensitive tape is needed. Should not be subjected to outdoor or UV exposure. Size: 3" x 60 yds.